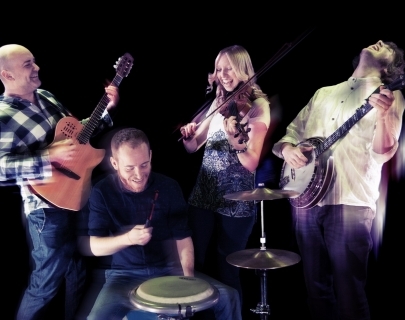 Joe Broughton, Paloma Trigás, Tom Chapman and Dan Walsh are Urban Folk Quartet. The award-winning UFQ have ignited international audiences with their high-energy, genre-defying acoustic music since 2009. The UFQ’s approach to the folk ethos is to embrace any and every influence that genuinely makes sense of their time and place and makes sense in their music. From funk grooves to middle-eastern melodies, afrobeat to north Indian rhythms. Their show has blazed a trail across the world at everything from secluded coves to 30,000 capacity festival fields. The band’s latest tour sees the release of Live III following last year’s successful Escape album. This show takes place in The Goose Nest – our temporary theatre that opens from Oct 2017 until Jun 2018. Please note your tickets may state ‘Theatre Two’ – this is The Goose Nest theatre and your tickets are valid for this venue.